Safety remains one of the top reasons industrial businesses purchase propane powered forklifts. Auto shut-off features, strict safety specifications, and all-weather operation just enhance the benefits of propane forklifts. But every machine needs to be refueled eventually and even with its’ reputation for safety, propane must be stored and handled properly to prevent injury and protect property. Some fleet managers think that just because their forklift operators are around propane-powered machines all day, those same operators are the best choice for refilling propane cylinders. We have to say that’s not necessarily true. Believing that it is true can pose danger to your employees and your facility. Anyone who fills or refills propane cylinders must follow critical propane safety requirements and should know what to do if they discover leaking or damaged tanks, valves, or connectors (but first they have to know how to inspect the cylinders and what damage looks like). You’ll also need to factor in time for the operator to fill the tanks. There is an easier way: let Josef Gas refill your forklift propane in Brampton. There is nothing simpler than our propane exchange program. Just leave your empty propane cylinders out and we will exchange them with full cylinders as frequently as you need. Cylinder inspection upon pick-up, prior to filling, and at drop-off to ensure 100% safe operation. Cylinders are filled off-site and delivered to your site filled and ready to go. Damaged cylinders are removed from service immediately. Leaky or damaged valves and O-rings are replaced as needed at no cost to you. Propane safety training for your employees is available. Flexible deliveries built around your schedule. There are enough safety concerns to think about at an industrial facility. If you could reduce even just one possible safety risk at your site, wouldn’t you do it? Our propane cylinder exchange service is safe, efficient, and cost-effective. Contact the team at Josef Gas to learn more about exchanging forklift propane in Brampton. 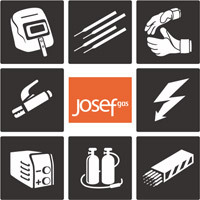 Call 416.658.1212 or email info@josefgases.com today to get a quote!